Our range of products include knee support, 14" knee immobiliser, 22" knee immobilizer, knee cap open patella, elastic knee support and knee support hinge. We are a paramount name, engaged in providing a wide array of Knee Support. Offered knee support provides firmness to overstressed and weak knees. It retains the body heat & enhances the blood circulation. 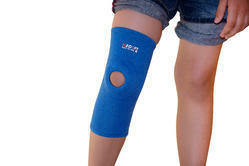 Offered knee support is designed for utmost comfort using the best quality material. Our up growing organization is an eminent brand in offering a wide and quality assured assortment of 14" Knee Immobiliser. The offered immobilizer is specially designed to provide firm support & safety to the injured knee, mostly in post-operative cases. 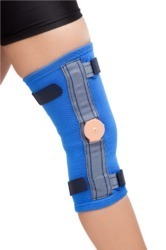 It has extra patella strapping that improves the immobilization of the knee. 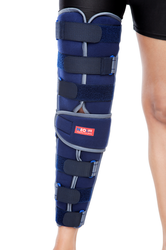 Offered knee immobilizer is highly demanded in the market for its exclusive attributes. We are offering Knee Immobilizer to our client. Knee Immobilizer is specially designed to provide rigid support & protection to the injured knee, mostly in post-operative cases. 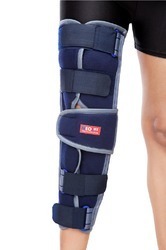 Extra Patella strapping enhances the immobilization of the knee. 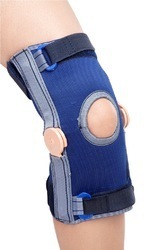 Knee Cap Open Patella provides firm support for the joint structures with gentle compression over the kneecap region. It fastens the healing process and keeps joints & muscles flexible. As a remarkable entity of this industry, we are offering Elastic Knee Support. This knee support is designed by our experts using the best quality material. Offered knee support is available in small, large and extra large sizes to meet diverse needs of clients. This knee support provides sufficient compression around the knee. Single homogeneous of this array offers free movement of the knee joint and firm lateral immobilization. Backed by a team of skilled professionals, we are willingly engaged in offering an encompassing spectrum of Knee Support Hinge. This hinge allows compression around the knee and normalizes flexion of the knee. 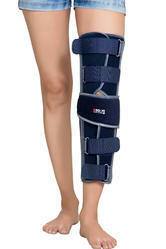 It has extra strap provides perfect fitting & hinges mimics the motion of an ordinary knee joint.